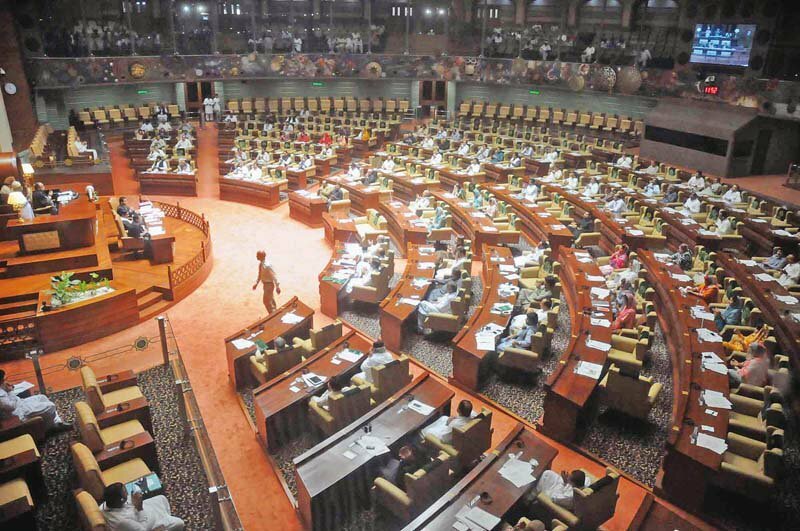 The debate on the annual provincial budget continued for the second day on Tuesday with the opposition benches heavily criticising the government for focusing on infrastructure development instead of education or health. Remarks by Jamaat-i-Islami’s (JI) Dr Syed Waseem Akhtar about the finance minister’s gender triggered a furor. 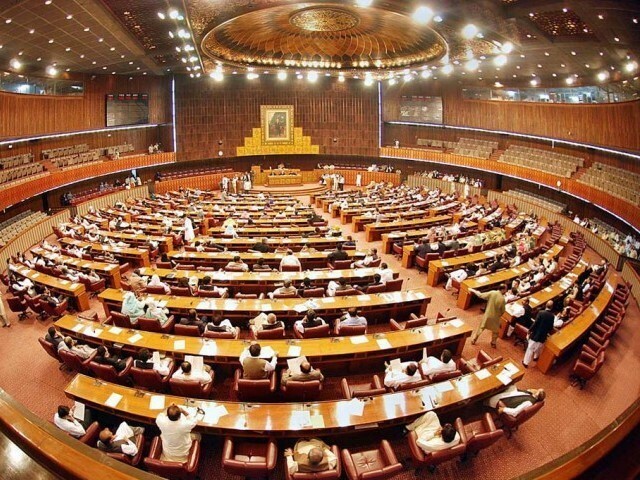 Speaker Rana Muhammad Iqbal reprimanded Akhtar and ordered the remarks expunged. MPA Azma Bukhari strongly criticised the comments as well. Akhtar, however, said that he appreciated the finance minister’s credentials and had not meant to criticise her. “This budget is unconstitutional because it is not interest free. We should not be scared of the World Bank or the International Monetary Fund,” he said. Bukhari said that people who did not appreciate the utility of infrastructure projects rarely travelled by road. She praised the government for allocating significant funds for the education and health sectors. Pakistan Tehreek-i-Insaf’s (PTI) Mumtaz Ahmad Maharwi said that Bahawalnagar had been neglected in the budget. He urged the government to construct the Chishtian-Burewala Bridge in Bahawalnagar. Javed Akhtar called for more allocations for road infrastructure in Multan. PTI MPA from Rawalpindi Asif Mehmood said the lawmakers should be provided more time to study the budget document. “The government spent more money (last year) on Rawalpindi Metro Bus Project than its total allocation for the higher education sector. What is stopping the government from starting metro schools and metro hospitals? Basic necessities come first,” he said. Nabeela Hakim said that the government had failed to utilise funds allocated during previous years. “The government’s performance is not good in the education, health and energy sectors. The law and order situation is no better,” she said. She also criticised the government for imposing more taxes. “Everyone is congratulating the chief minister for having such a huge fan following in Turkey and China. However, I think he should start worrying about his popularity in the Punjab,” she said. Dr Muhammad Afzal criticised said that the Quaid-i-Azam Solar Park project in Bahawalpur which, he said, was producing 30MW and not 100MW as the government had claimed. Ahmad Shah Khagga called for more funds to provide drinking water and parks in Pakpattan. Rana Muhammad Afzal called for subsidies on fertilisers and fuel for farmers. He criticised the bureaucracy for ignoring the plight of the masses. Opposition leader Mian Mehmoodur Rasheed highlighted the protest demonstration by clerks at the Charing Cross. He criticised the government’s silence. “The allocation for chief minister’s secretariat has been increased by 50 per cent. Why cannot the government increase clerks’ salaries by more than 7.5 per cent?” he asked. Rasheed urged the speaker to send some ministers to talk to the clerks. Sheikh Alauddin said daily protests affected business activity on The Mall. “Several businessmen have shifted away from The Mall,” he said. Rasheed announced that the opposition would stage a protest inside the assembly against the Model Town killings today. Talking to reporters, he said that the government had not brought to justice those responsible for the deaths. The debate will continue on Wednesday (today) at 10am. Published in The Express Tribune, June 17th, 2015. Mahmoodur Rasheed says budget prepared without input from lawmakers. 2019-Government (pmln) highly criticized for focusing heavily on health sector.